Dr. Michael M. Moawad always appreciates feedback from his valued patients. To date, we’re thrilled to have collected 43 reviews with an average rating of 4.91 out of 5 stars. Please read what others are saying about Dr. Michael Moawad below, and as always, we would love to collect your feedback. Very professional, kind, caring and excellent experience for my first visit. Thorough and attentive examination and best cleaning. always friendly and professional ! Dr Mike, Adele and admin staff rock. Always a pleasure to visit this office! Very professional staff, great service! Office staff and Dr Mike extremely responsive in a timely manner. Feel confident and secure in their care and am happy to have chosen this office to attend to my long ignored dental needs. 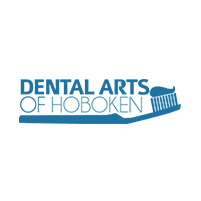 I had a great experience with the crew of Dental Arts of Hoboken. Very recommended! Always a pleasure when visiting Dr. Mike's office. Spent a lot of time there this year getting some new veneers and the staff are always helpful, friendly and make you feel comfortable. Look forward to my next visit! Always pleasant, open to questions and efficient. Adele is ALWAYS the BEST! We traveled all the way from Australia just for Her! Dr. Moawad is a fantastic dentist who is very intelligent and knowledgeable about the new and latest technology and procedures. He is very professional, warm and cares about his patients. I had an incredible experience with Dr. Moawad and all of his wonderful staff. Dr. Moawad is the best dentist I have ever had. He listens to what you have to say and he isn't happy until you are happy. I love his office staff too! They are all so pleasant and efficient. You can't go wrong with Dr. Moawad. Dr. Moawad and the other staff at Dental Arts of Hoboken were all just great! I had an excellent experience with them all. Great Dentist, combination of both skilled medical acumen and kind and approachable.